An intricate, seven-step process creates this delightful bowl to grace your table. 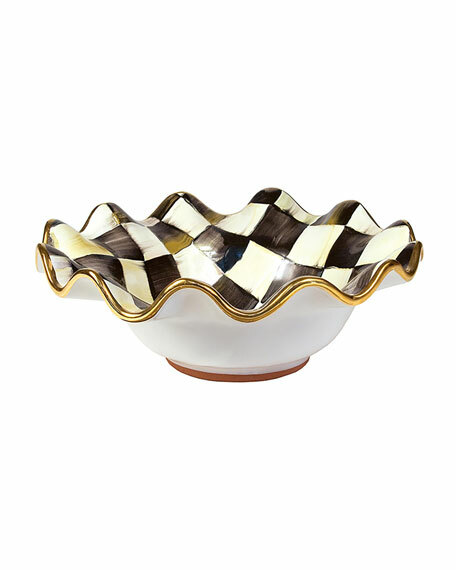 Each bowl is handmade of clay, fired, glazed, fired again, hand-painted with Courtly Checks®, embellished with goldtone luster, then fired once more. The ruffled, fluted edges and clay peeking out at the bottom add to the endless charm of each handcrafted piece. Finished with the artisan's stamp on the bottom.